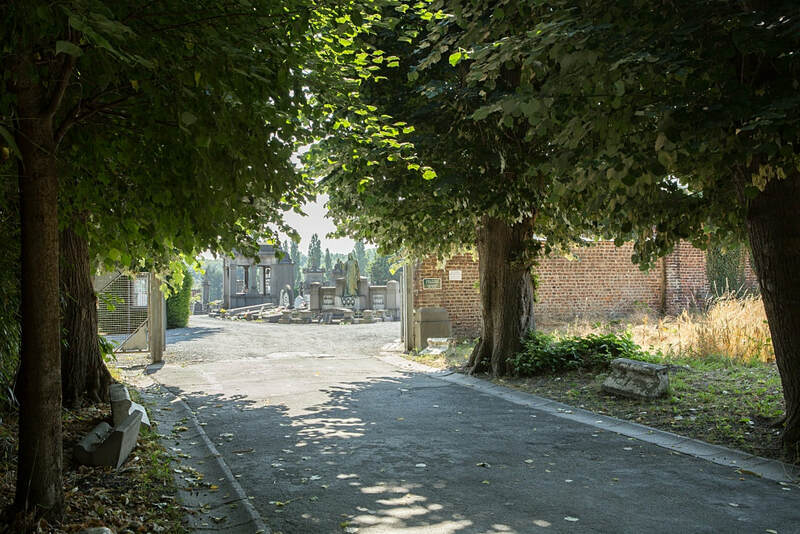 The village of Jemappes is located south-west of Mons off the R5 ring. 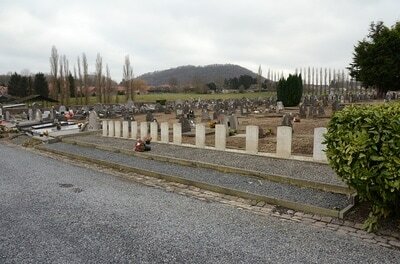 From the E19 motorway turn off at junction 24a and onto the ring R5. 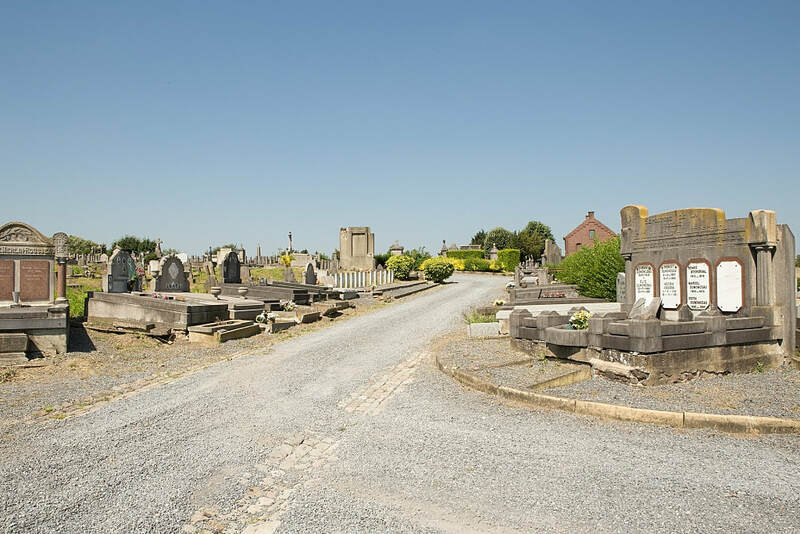 Follow the ring to the junction with the N51, turn left onto the N51 direction Jemappes. 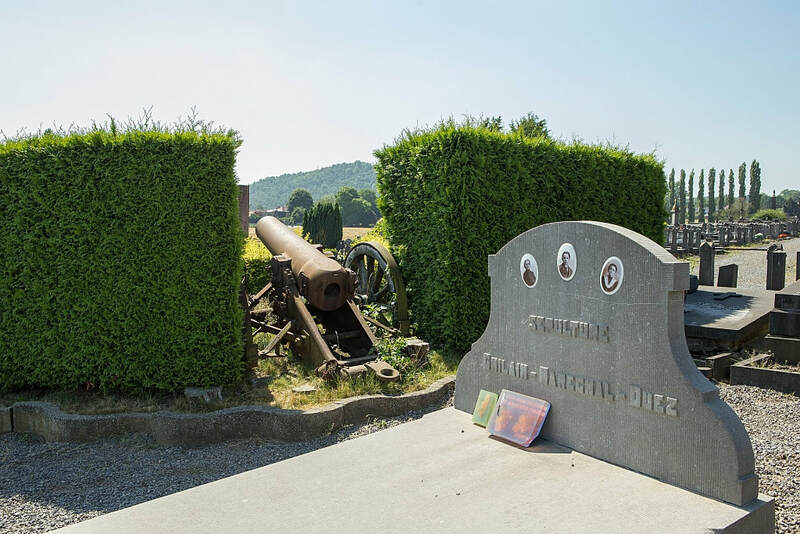 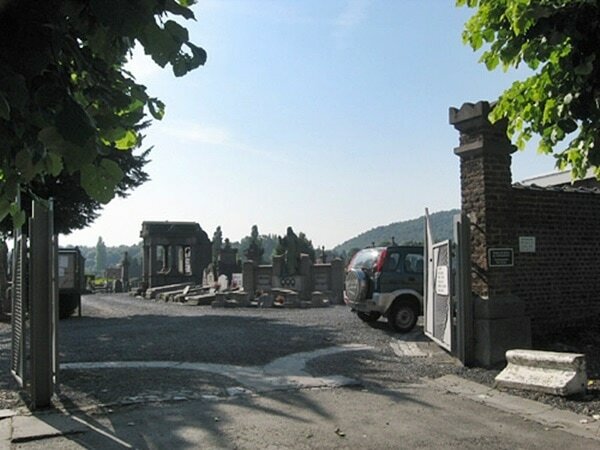 Follow the N51 into Jemappes and turn left into rue des Trois Hurees, then left into rue de l'Argilliere and the cemetery is along on the left. 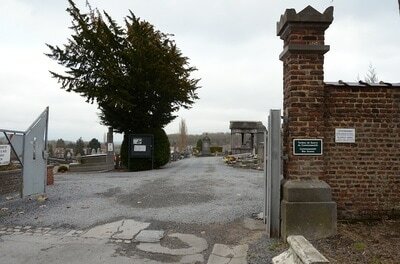 The graves are located along the centre path behind a hedge past the centre island. 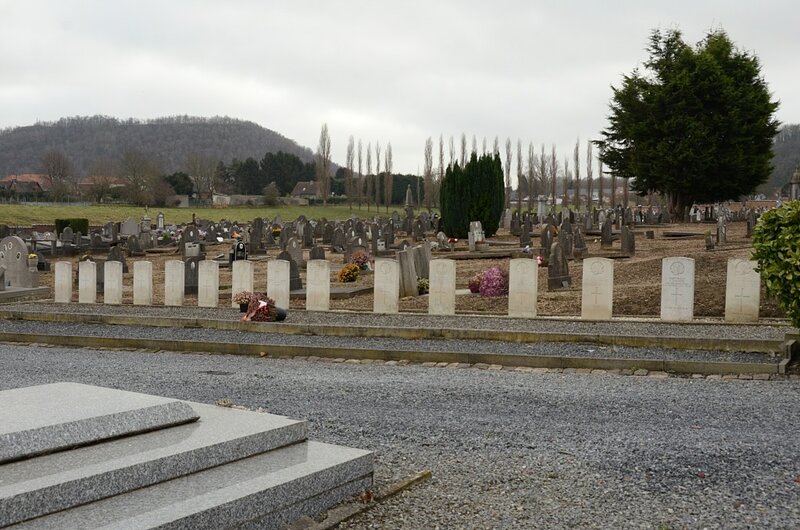 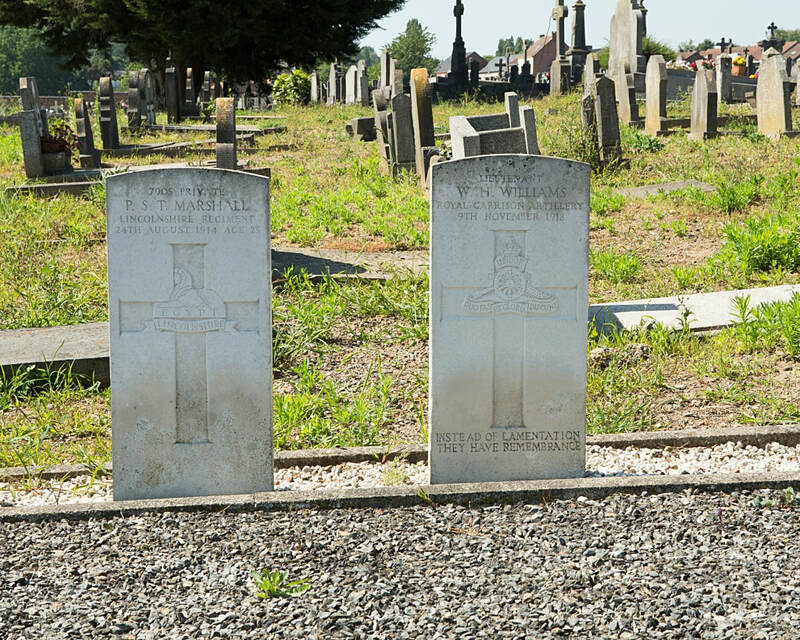 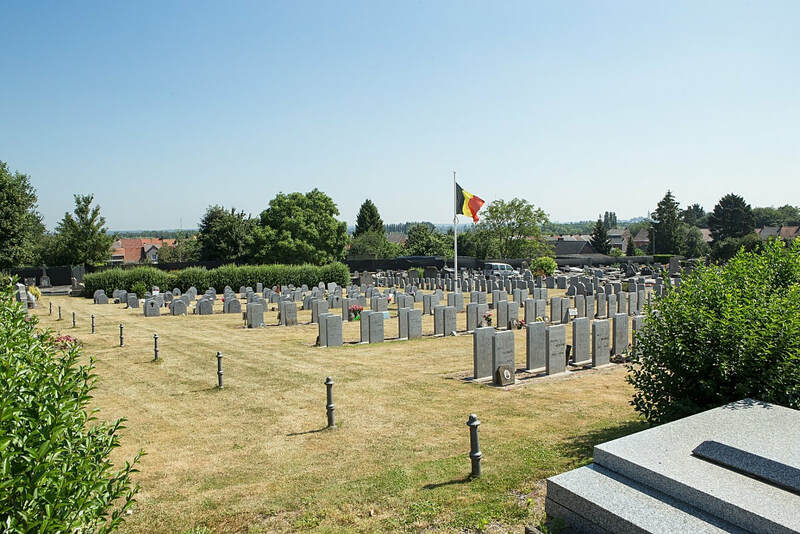 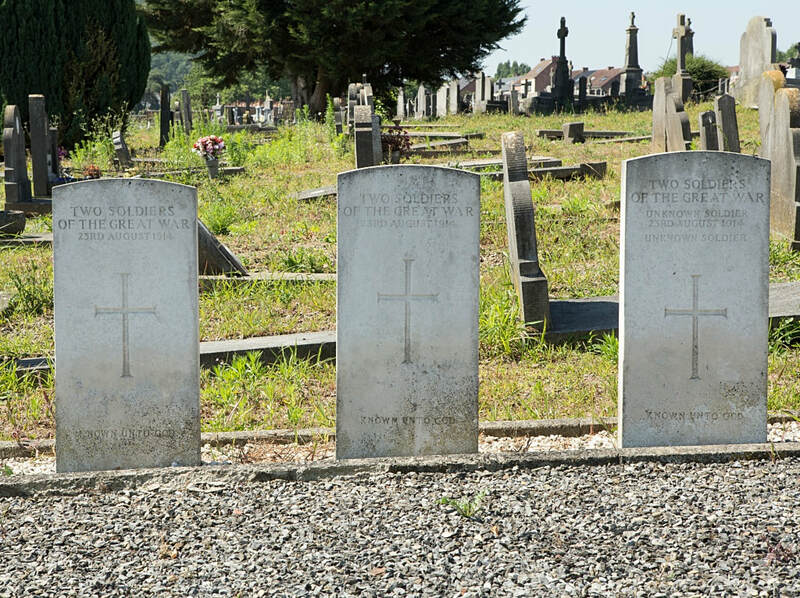 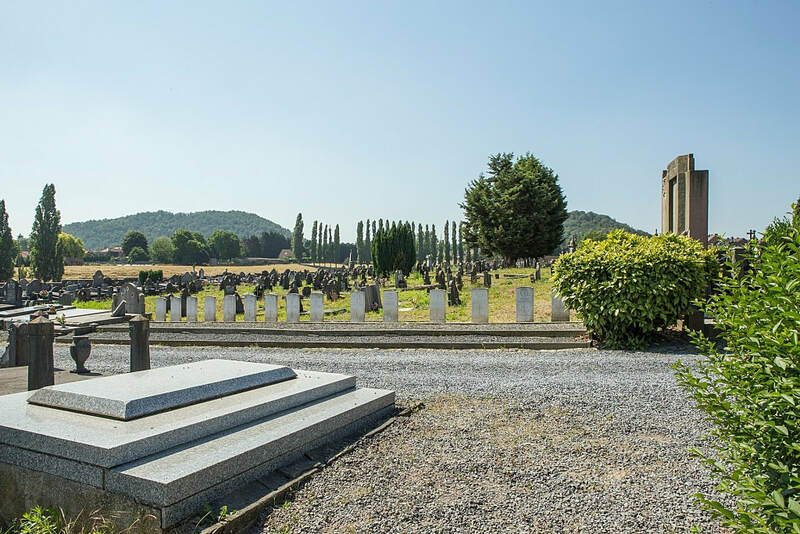 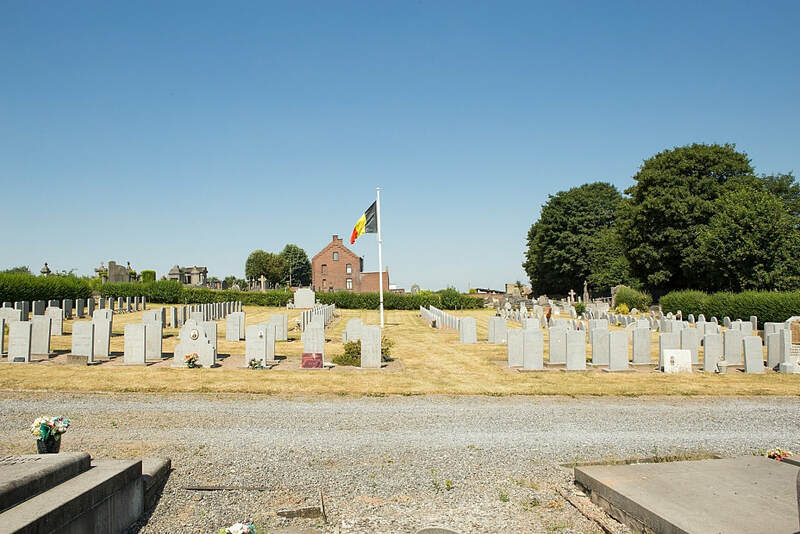 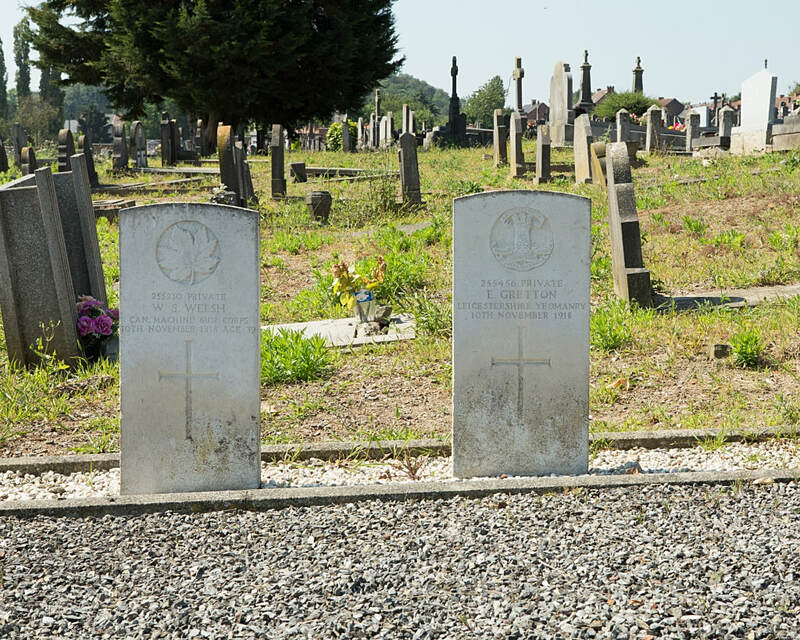 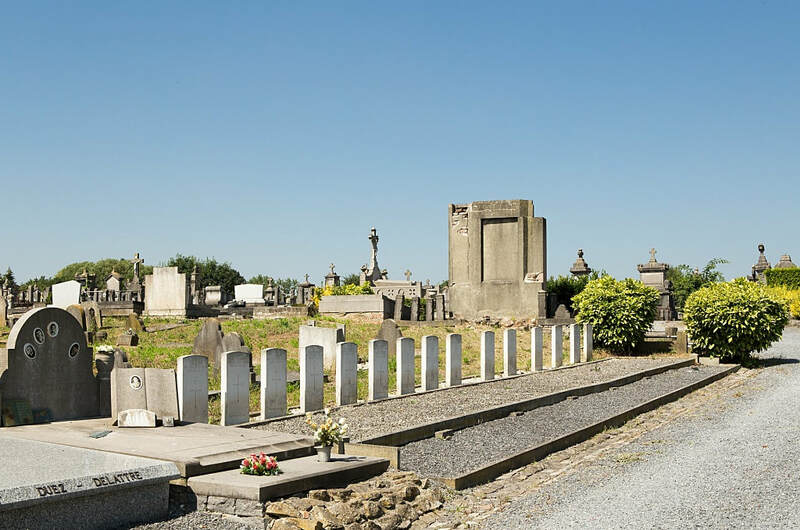 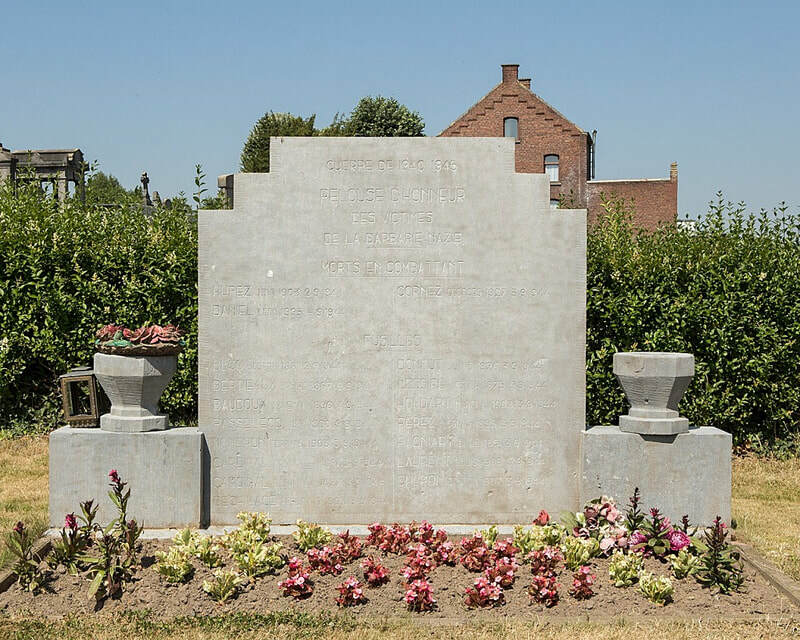 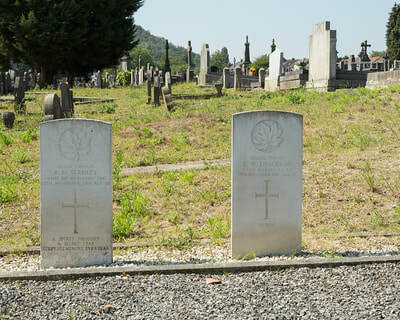 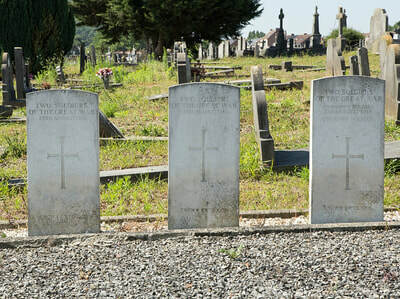 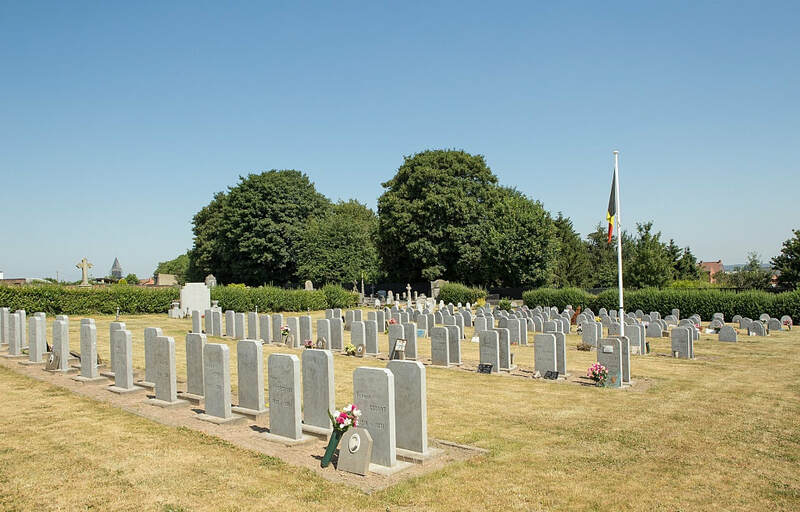 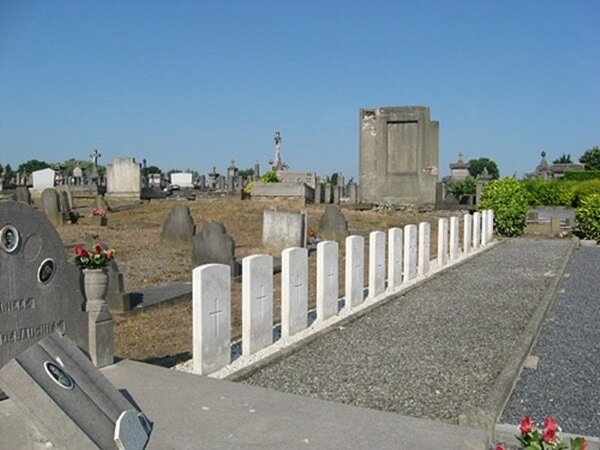 Jemappes Communal Cemetery contains 18 Commonwealth burials of the First World War, nine of which are unidentified. 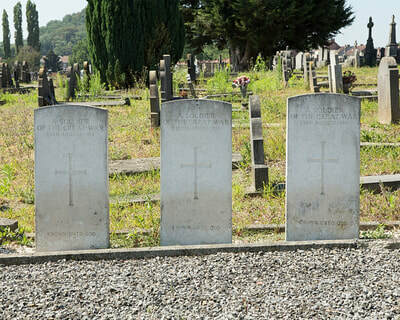 All date from August 1914 or November 1918, and in most cases they were brought into the cemetery after the Armistice. 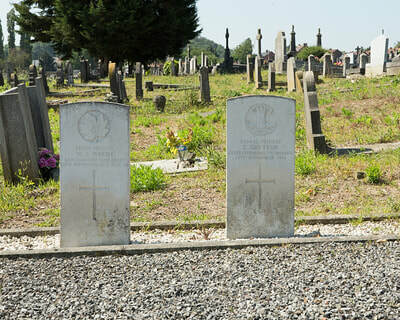 132890 Private Alexander Burnside, 42nd Bn. 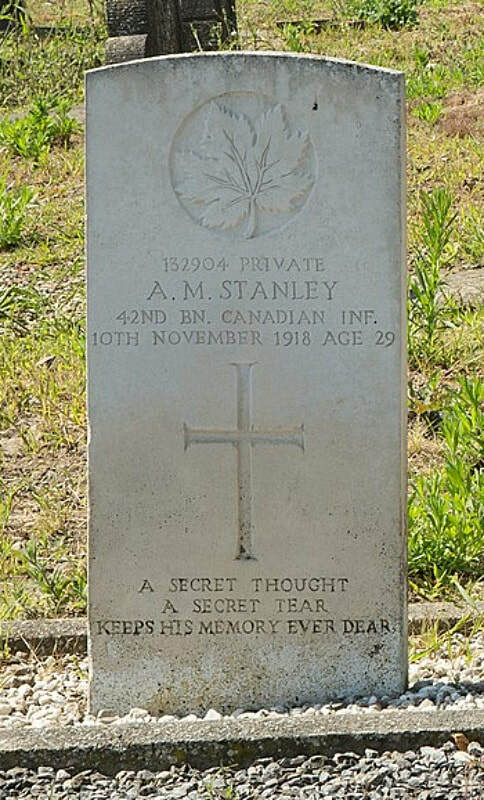 Canadian Inf. (Quebec Regt.) 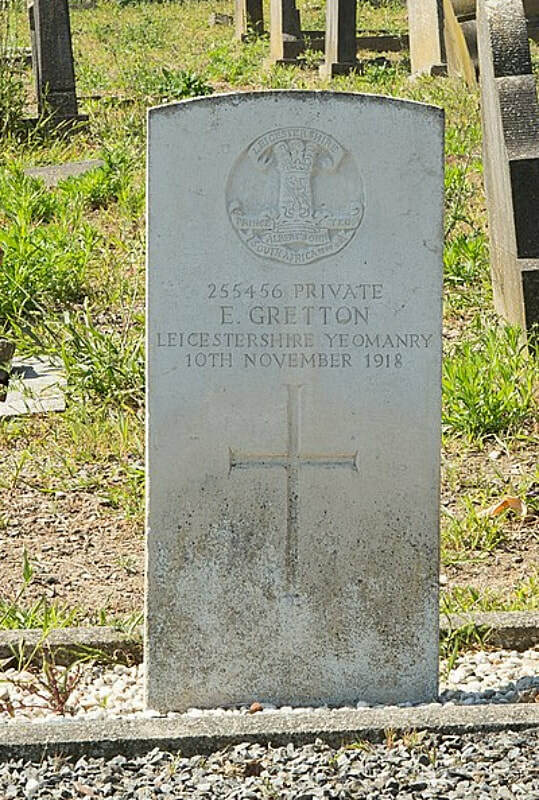 10th November 1918, aged 35. 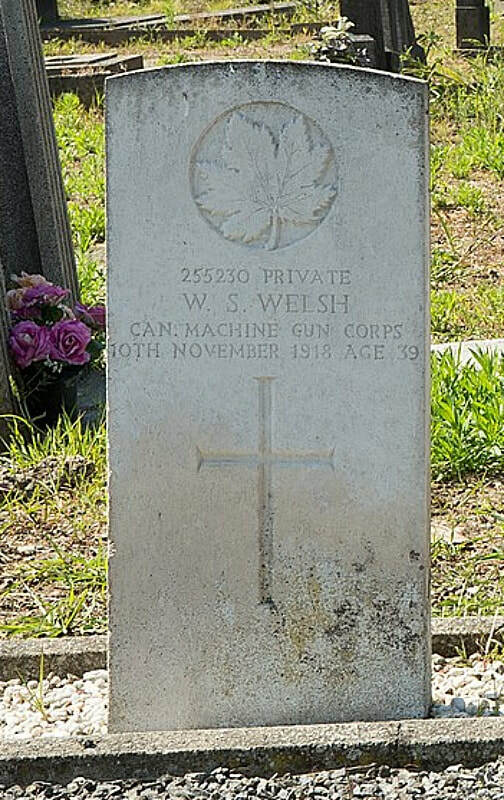 Born Glasgow, Scotland. 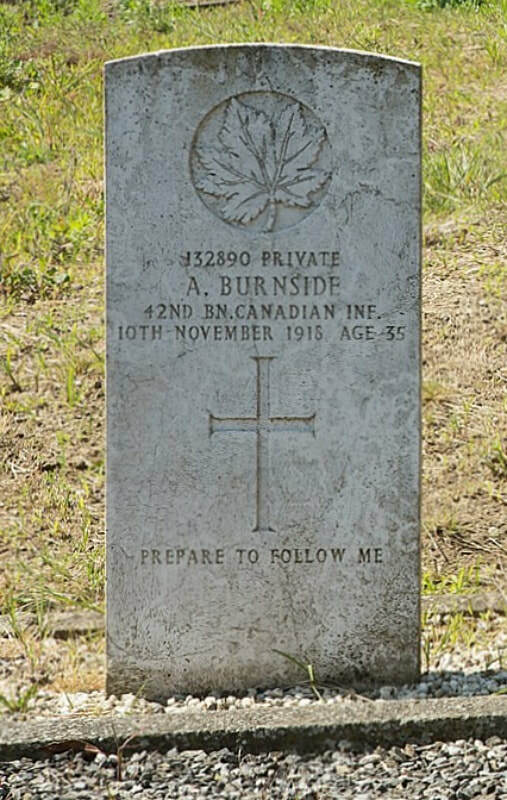 Son of Alexander & Jane Burnside of 5 Ernest Avenue, Toronto, Canada. 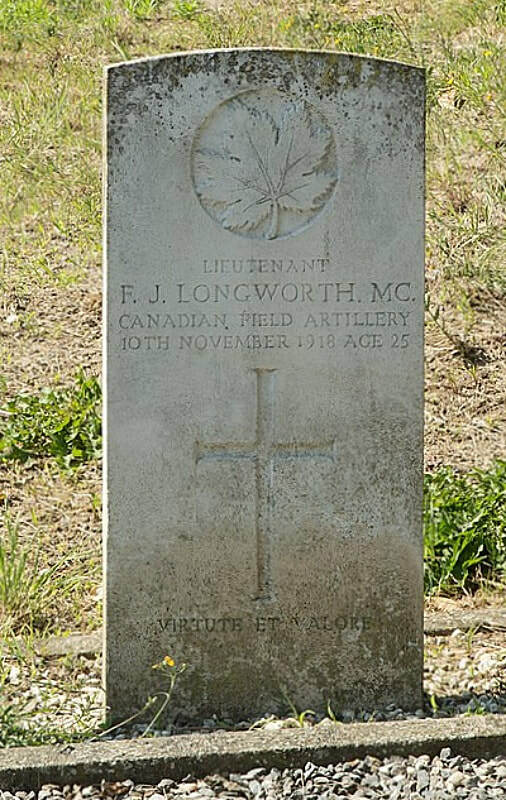 2265502 Private E. W. Thackray, Princess Patricia's Canadian Light Inf., Eastern Ontario Regt. 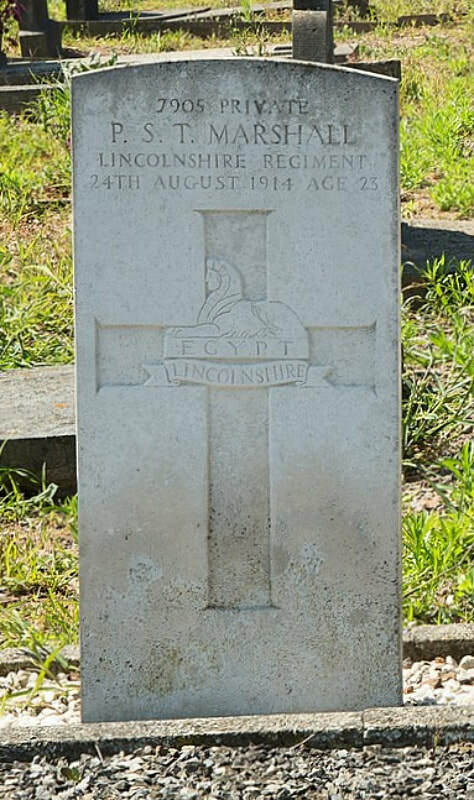 9th November 1918, aged 29. 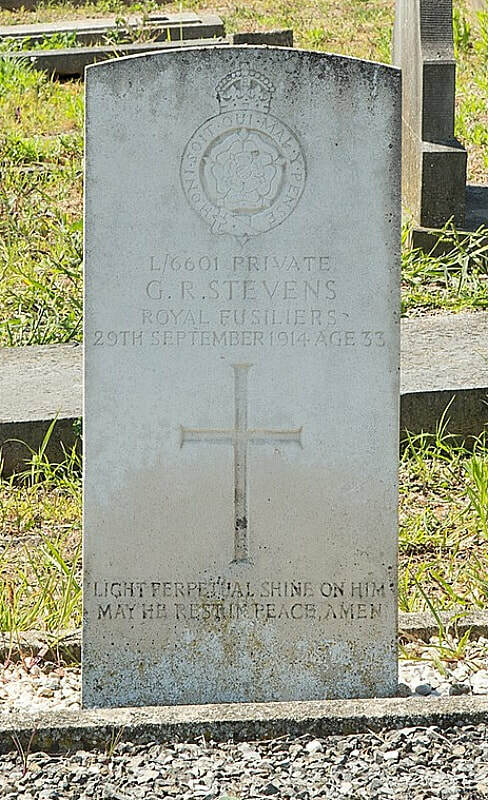 Son of the Rev. 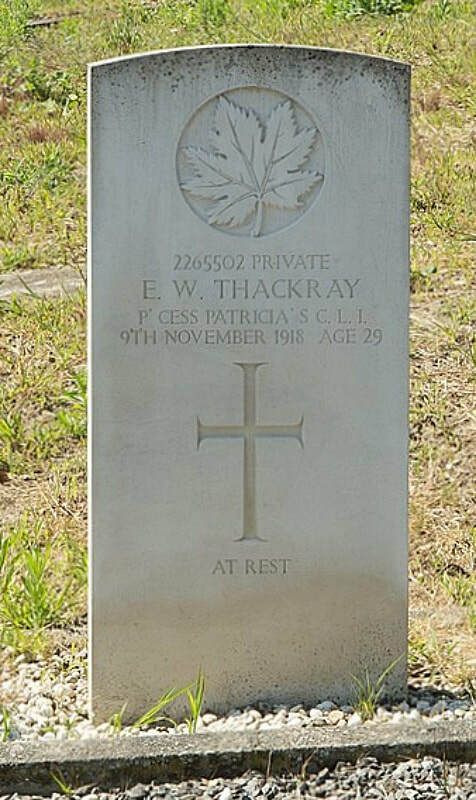 W. W. Thackray; husband of Cora A. Thackray of 251 North Street, Rochester, New York, U.S.A. 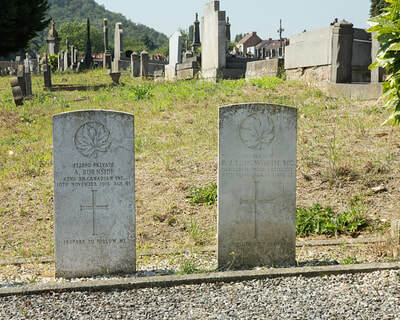 Lieutenant W. H. Williams, 326th Seige Bty., Royal Garrison Artillery. 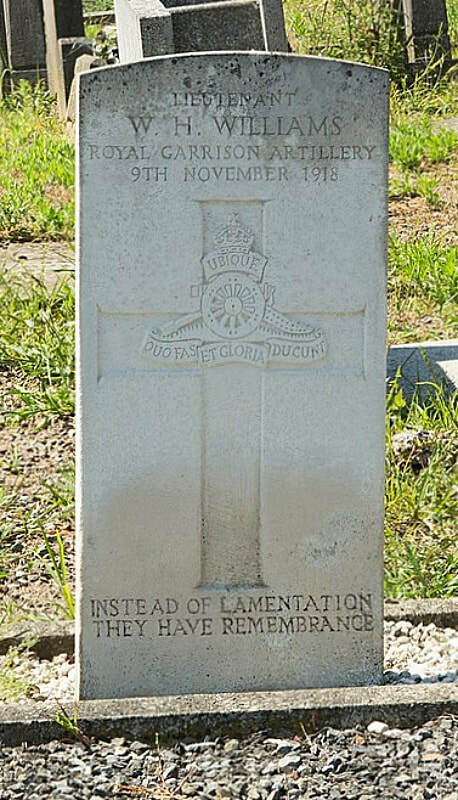 9th Nov. 1918. Note. 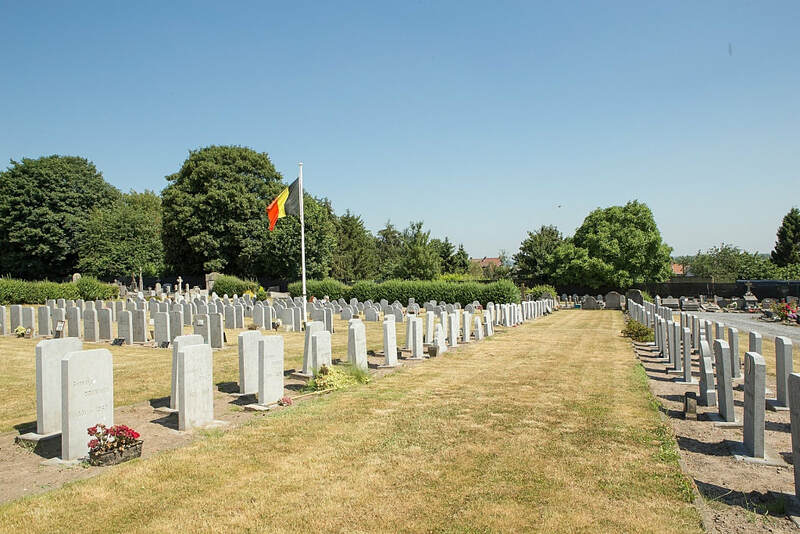 S/43486 Private Leonard Harry LOCKLEY, King's Royal Rifle Corps, died 30th October 1918, was originally buried in this cemetery but was later removed to Langemark German Military Cemetery where there is also another United Kingdom burial.